I am pleased to announce that I’ll be guiding with a local company: Hike Moab. If you use the coupon code PMagsGuide, you’ll get a 15% discount! Micah knows the Moab area well, and we’ve enjoyed hiking together. I am looking forward to immersing myself more into the Moab area and showing one of the most unique parts of the world to the many visitors. An exciting time! Hike Moab is insured and permitted in Canyonlands, Arches, and other nearby areas. We’ll be doing mainly day hikes, but we have some plans to expand to overnight trips. So, if you are interested in booking a trip, give Hike Moab a look-see. 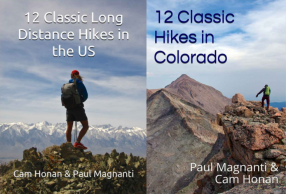 We’ll be doing mainly day hikes, but we have some plans to expand to overnight trips. So, if you are interested in booking a trip, give Hike Moab a look-see. 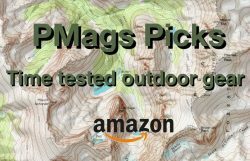 If you use the coupon code PMagsGuide, you’ll get a 15% discount! I’m excited about this new opportunity, and I’ll reserve my IT Monkey skills for the odd job now and then and personal use. And just when things slow down here in Moab business-wise, I’ll be guiding with Andrew again a bit this summer and plan on playing around a bit in between gigs. On a personal level, I have a longer hike planned just before my brother’s wedding back in Rhode Island in September. It will involve connecting New England trails and ending at the ocean of my home state. More info to come! And after my RI visit, I’ll start the guiding cycle over again. Congratulations Paul. The last few months on the blog you have sounded truly happy. I keep waiting for signs that the newness and excitement of your current life situation are starting to fade, but you still appear to be as energized as ever by it. 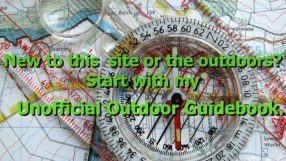 I wish you all the best, including in this new guiding venture. Thanks! I am enjoying my life in Moab for sure! Sweet, just came across your site from Andrew’s. I too am a Rhode Islander. For your New England trip, Mid State to North South? I still have about 3/4 of North South left, my hiking partner twisted his knee on the trail.